Less than eight months after his beloved wife's death, former U.S President George H.W Bush is no more. Bush, who was the 41st President of the United States, passed away on November 30, 2018. He was suffering from vascular Parkinsonism, a disease where an individual experiences mini strokes and loss of nerve cells. He was 94. Bush will be laid to rest on Thursday, December 6th at the Presidential Library in College Station, Texas next to his wife and his daughter, Robin, who passed away at the young age of three from leukemia. On Monday, he was honored at a ceremony in the U.S Capitol. 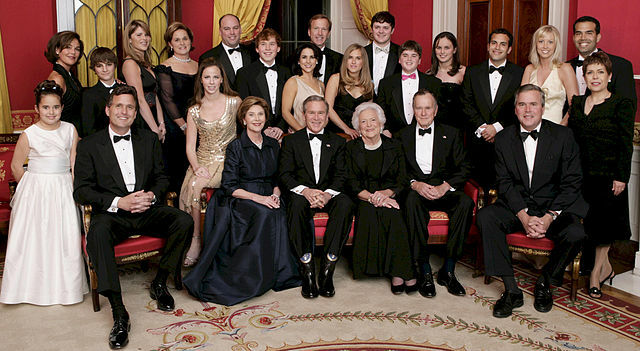 George H. W. Bush was born in Massachusetts to parents Dorothy Walker Bush and Senator Prescott Bush. He turned 18 right after the U.S had been dragged into World War II with the attack on Pearl Harbor. Bush enlisted in the U.S Navy in 1942 and was the youngest to do so. When World War II ended, Bush enrolled at Yale University and also married his high school sweetheart, Barbara Pierce. After graduating from Yale, he worked in the oil industry in Texas for a decade before entering politics. He was elected to the House of Representatives in 1966. Several official appointments such as the U.S ambassador to the United Nations, Chairman of the RNC (Republican National Committee), and Director of C.I.A followed, which were stepping stones in his quest for the presidency. In 1980, Bush attempted to run for President as a Republican candidate, but did not win the political party’s nomination. Instead, he was asked to be Vice President for Ronald Reagan, the winner of the Republican Party’s nomination. After two terms as Vice President, Bush ran for the presidency in 1988 and was elected the 41st President of the U.S.
Bush's presidency was also a time of momentous change with the fall of communist regimes around the world in 1989. The following year, in 1990, he responded to Iraq's invasion of Kuwait by sending in forces to defeat the dictator Saddam Hussein. As President, Bush instituted the Points of Light Award to encourage and inspire American citizens to become involved in their communities. Nearly five thousand people have received the Points of Light Award, and more than 25 years later, over 5 million people contribute to over 20 million hours of community service. Another major milestone during his Administration was the Americans With Disabilities Act which outlawed discrimination against people with disabilities in any environment. Three years after the Disabilities Act was passed, there were 800,000 more people with disabilities in the workforce, and since then, it has benefited many lives. Towards the end of his term, the U.S economy was in trouble and unemployment started rising. Bush went back on his campaign promise and raised taxes, and as a result, lost his second term election. But George H. W. Bush saw his son George W. Bush become the nation's 43rd President -- only the second father-son pair to do so in U.S history. Though George H. W. Bush is no longer with us, his life and legacy is an inspiration, especially at a difficult time in U.S politics today.